The entire team at the ibis Styles Vichy Centre hotel will be delighted to help you discover all the best places in the city. Close to the banks of the River Allier and the city center, you are in the ideal place leave the car behind and explore on foot. Breakfast + WIFI are included in all rates at the ibis Styles Vichy Centre. 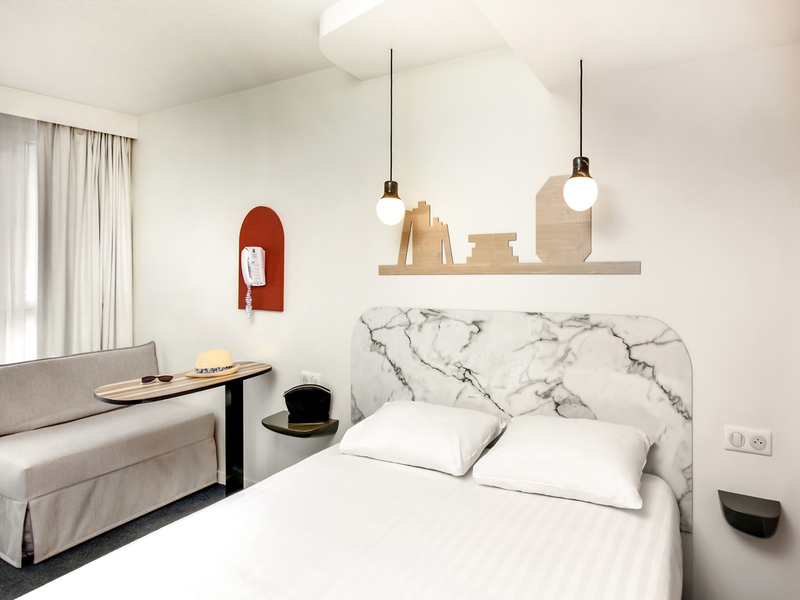 A stone's throw from the historical center of Vichy, our 45 fully-renovated and air-conditioned rooms will allow you to enjoy Vichy and its charms. Take advantage of the high-speed WIFI during a business stay. Come and relax as a couple or with family. Spas, the opera and a casino are less than 5 minutes away on foot. A river shuttle runs between the racecourse and the parks of the Centre Omnisports throughout the summer. Close to the city center, park and banks of the River Allier - ideal for joggers! Come to our bar for a relaxing moment alone, with your family or for a business meeting.